One artist took that to the extreme by painting a brilliant picture of The Rock - while using a dumbbell as a paintbrush. The artist even found the time to squeeze in a couple of bicep curls as he went about his creation. It's fair to say The Rock was a huge fan of the painting - although he suspected it was originally an April Fools joke. Being able to create such a realistic artwork is impressive enough in itself - not least when you consider he was using a dumbbell. The artist, who goes by the username @bou_bou_design_ on Instagram, has also posted various other designs, although this seems to be the first using a piece of training equipment as a paintbrush. If this man can paint an entire picture using a dumbbell, you've got no excuse to put your weights away after using them. It's easy to see why The Rock endorses this artwork so much. Weight training is arguably his favourite hobby outside of wrestling and acting. 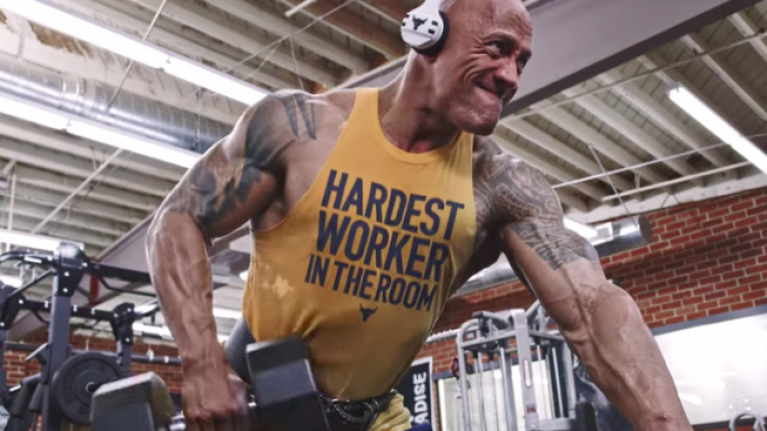 In particular, The Rock is a huge fan of including giant sets into his training. 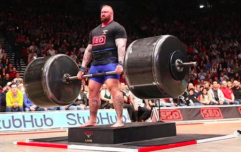 This is how you can incorporate giant sets into your workouts.